A recent UK roadshow presented me with the perfect chance to talk to IFAs around the country about their views on Brexit. The general consensus seemed to be that whichever way people voted, “we are where we are” and we now need to get on with the process. There was also an overwhelming feeling that politicians on both sides are making the whole process much more painful than it needs to be, with negotiations focusing on scoring points rather than securing an outcome that works for both sides. Back in 1992, when the UK left the Exchange Rate Mechanism (ERM), the doom-and-gloom news reports were similar in tone to those on Brexit. Today’s situation is different, but that event was also a significant political and economic shock. When the UK exited the ERM, GDP growth was weaker than it is today, interest rates were almost in double figures and inflation was around 3.0%. We’ve also seen unemployment fall to its lowest level since 1975. As someone born in that year, this means that unemployment is the lowest it’s been in my entire lifetime. On the negative side, however, the common market was just in its infancy in 1992, while today we face leaving it with no clear idea of what will replace it. One significant factor is that the UK equity market provides a global exposure due to the significant overseas revenues generated by firms listed on the London Stock Exchange. 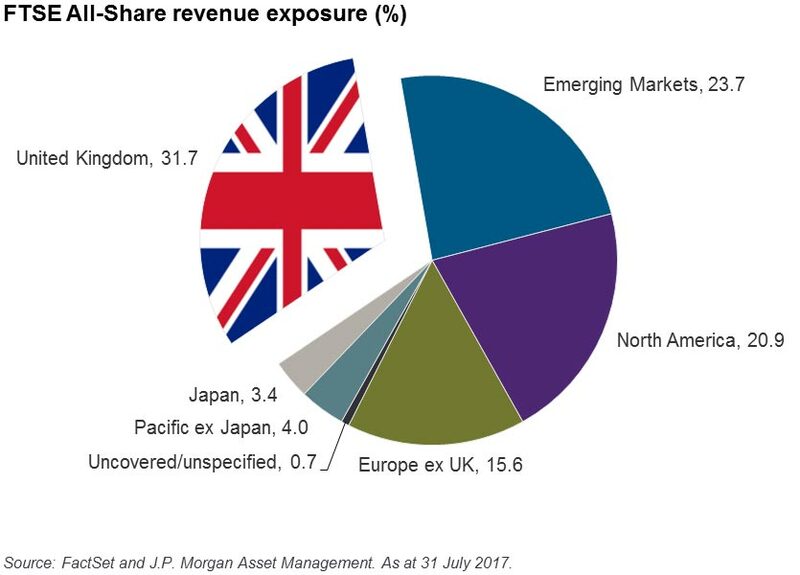 These overseas revenues are dominated by FTSE 100 companies but, even moving down the market cap-spectrum to the FTSE 250, there are still significant revenues generated from outside the UK. Many companies are more concerned about what is happening overseas or with the commodity markets, for example, than what is happening with the UK economy itself. That’s not to say that investors should shy away from domestically focused companies: we have some great companies in the UK with fantastic management teams. These companies will, in my opinion, tackle any challenges they face as a result of Brexit and continue to deliver returns for shareholders. There’s no denying that these are emotional times. People are either delighted or very upset by the way recent political events have turned out. Unfortunately, we tend to make our worst decisions based on emotion, and investment decisions are no exception. At J.P Morgan Asset Management, our behavioural finance approach aims to reduce emotion in the decision-making process. Now more than ever, it’s vital to focus on the fundamentals driving stocks, rather than beliefs that have no real bearing on the current status quo. The next few years will be challenging for UK equities, but we will come through the other side. Investors will need to be selective and agile as we go through the exit process. 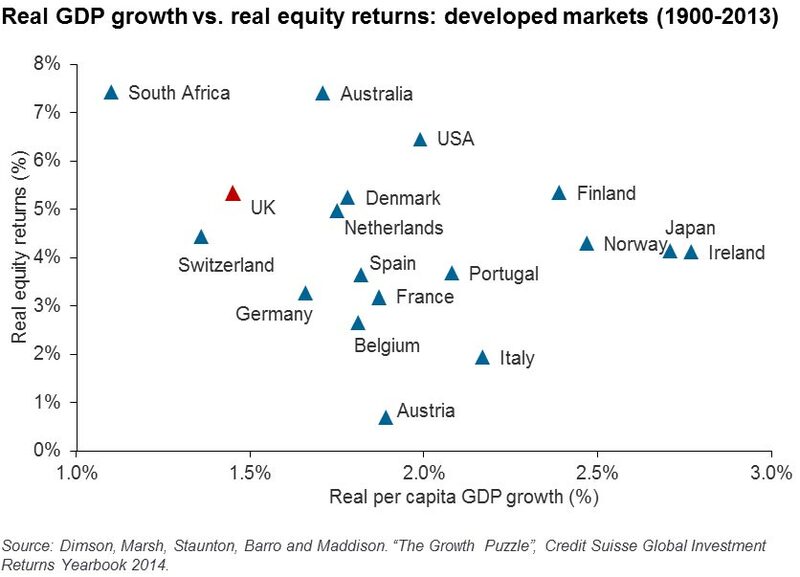 It will not be an easy path but when you compare UK equities with other equity markets, valuations do not appear stretched. They are also offering a decent yield when compared to other equity markets. Unloved? Certainly. Justifiably so? I am not so sure.